Be organized in 2018 with HomeN'Stars Magnetic Weekly Calendar. Make your life so much easier & save time by customizing the weekly calendar whiteboard with your daily and weekly family activities, shopping lists, menu planner, and kids chores etc. Ready to accomplish more than you thought possible? Use this magnetic weekly calendar for refrigerator. Don't you just love to travel the world? We know you haven't been everywhere and that there are lots more places on your list... that's where the HomeN'Stars Scratch Off World Map comes in. Scratching off countries, landmarks, achievements, sports and accommodations etc. 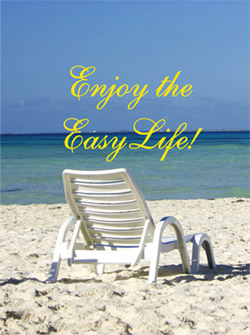 makes it so easy to tell your story and relive those precious moments while you have fun with family and friends. 2 STEP STOOL - NEW!!!!! Kids love being independent. 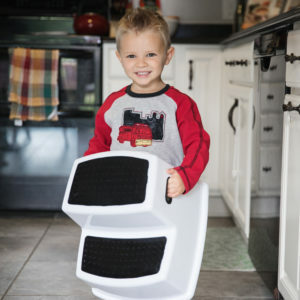 Our 2 step stool for kids is used by toddlers all over the world. Its easy for them to carry so that all on their own they can reach the bathroom sink for brushing their teeth, the kitchen counter to help Mom and get to the toilet seat and for potty training. Safety and Quality are our prime concern - Each step of the toddler step stool is completely covered with a non-slip surface. The rubber, anti-slip grip on the bottom ensures it is safe on all floor surfaces. The stool is manufactured from high quality PBA-free, non toxic, environmentally friendly, lightweight material and can hold up to 100 lbs. Value for Money - The 2 Pack Kids Step Stool is the perfect bundle if you have twins, live in a 2 story house or even in a small apartment. It's handy to have 2 - one in the bathroom and the other in the kitchen. Home N'Stars was founded by Annette & Tali, mother & daughter, to manufacture high-quality, inexpensive stylish products to simplify your life. 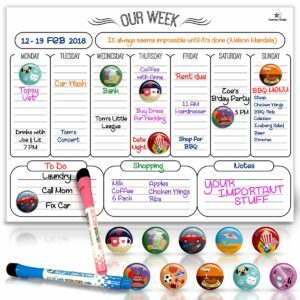 Magnetic White Board Weekly Planner is our flag-product - perfect for families, students, young professionals and small business. 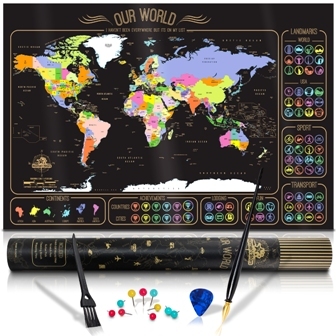 Our Scratch Off World Map is unique as it's designed to let you add your own adventures, activities, and landmarks visited, creating your personalized travel map in vibrant colors, elegant design and high- quality poster. Coming soon is our 2 step stool for kids - special bundle of 2 dual step stools for kids and 4 fun table corner guards. Your toddler will become independent - reaching the bathroom sink or the kitchen counter to help Mom, use it for potty training, and easily carrying it along.